If there is anyone who will call Meredith out on her behavior, it's Alex. The question is this regarding her feeling for Riggs on a personal level or a professional one? © 2017 American Broadcasting Companies, Inc. All rights reserved. Grey's Anatomy Season 13 Episode 15: "Civil War"
When you fight a war at home, the casualties are your neighbors. Your friends. Your family. Leaving you alone. 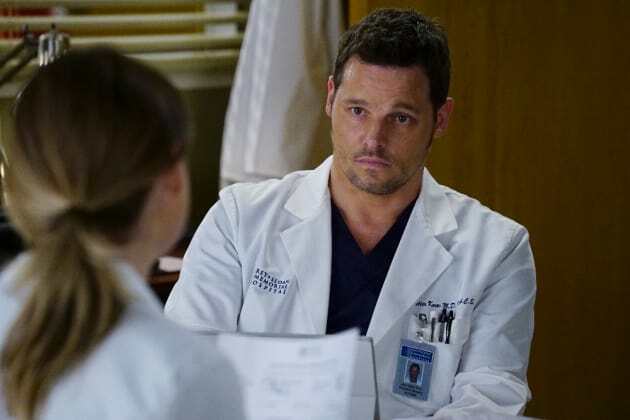 Grey's Anatomy Round Table: Will Meredith and Nathan Make It Official?